Whether you just skim headlines or deeply scour the Internet for every last word on the subject, Apple's latest MacBook Pro introduction appeared to be greeted with mountains of complaints from fans and haters alike, all united in their quivering fear of an existential threat to the Macintosh as a viable platform. Time to breathe! There's no need to exaggerate reality into Facebook-style, factually-loose imagery that's emotionally reinforced with rage-inducing, apocalyptic panic mongering. Let's take a more rational look at Apple's recently revamped, premium laptop line. Rather than dryly recount that Apple's latest MacBook Pros now incorporate thinner shells with more densely packed electronics that include an embedded iOS-based dynamic keyboard Touch Bar with Touch ID and the same USB-C ports as the retina MacBook (all of which was predictable or straight up leaked), much attention has been focused on things Apple didn't include: options for a desktop-class GPU, massive amounts of RAM expansion (beyond 16GB) or "built in dongles" for SD Cards, 1998's USB-A ports, HDMI or even VGA. Writing for The Verge, Vlad Savov proclaimed "the MacBook Pro is a lie!" because it doesn't support a higher end GPU or more than 16GB of RAM--and according to one developer cited in the piece, who runs multiple concurrent virtual machines to host web test environments for non-Mac browsers, that's a problem. It's useful to think about the actual number of MacBook Pro users with needs for more than 16GB. On one hand, even in the case of the above cited developer with a need for hosting multiple-VMs (running multiple instances of Windows or macOS), 16GB was referred to as minimally sufficient. That's a significant distance away from simply "not being a Pro machine," particularly given the portability the MacBook Pro is targeting. There was a time when Apple actually did sell multiple lines of Macs ranging up above $10,000, with a flurry of port types and replaceable graphics cards. Apple's first Macintosh Portable was effectively a desktop machine paired with an LCD screen. It weighed 16 pounds and cost $7,300 in 1989! However, the company's subsequent PowerBook notebooks in the early 1990s were designed first and foremost to be truly mobile. That turned out to be a hit, because mobility is a highly attractive feature for pros on the go. Particularly since 2000, Apple has worked to make its higher end notebooks as thin and as light as possible, a direction that was doubled down upon with the MacBook Air in 2008. Apple has really focused on the strategy of building what sells. And despite lots of expressions of blogger contempt for lighter, thinner designs, in speaking with professionals--and in my own experience--it's clear that people who work on notebooks strongly favor devices that are easy to carry over more powerful machines that are heavy and bulky enough to be a pain to lug to and from work sites. I was once certain that I needed DVD burner in every notebook I bought. It was only after thinking about how rarely I actually had ever used that feature--together with Apple's "courageously" bold and once-criticized decision to strip optical drives from its lineup--that it became obvious that spinning optical media was a vestige of the past. Similarly, despite long owing both a 17 inch MacBook Pro equipped with tons of ports and a MacBook Air with a much smaller screen, half the RAM, a slower processor and just two USB ports, I found myself using the Air more, almost exclusively so, just because it was so much easier to carry around when needed. If only the people who "professionally" express opinions about Apple were aware of this data. It might help them write more accurately. Pressed to identify machines that Apple "should have" designed, critics are pointing to heavy, thick models aimed at Windows video gamers, which clearly sell in obscurely small volumes and do not appear to be very profitable at all. At this point, it should not be surprising that the world's most successful mobile device maker--which builds and sells the most premium notebooks, the most tablets of any kind, and the most high end smartphones--is designing a limited number of machines to fit the needs of the broadest possible mainstream audience. At the same time, there's an argument that says Apple should be emulating car makers who build specialized custom vehicles for the racing circuit as a form of research and for bragging rights. However, these car makers don't sell their low volume race cars in small batches to the public. There are also "truck" tasks--including jobs such as professional-grade 5K video editing--that demand all the resources one can get. Apple does not make a luggable iMac-equivalent, and it hasn't even offered any insight into the future of its Mac Pro--which should be filling a role at the high end for users who need more power than a light, thin notebook can profile, but which hasn't been significantly updated over the last three years. However, one Final Cut Pro editor, Thomas Grove Carter of Trim London, who has been using the new MacBook Pro called them "really fast" and "buttery smooth" and noted that they are "powerful enough on the graphics front to power two 5K displays, which is an insane number of pixels." It's important to note that most of those voicing hypothetical criticism of the new MacBook Pros haven't actually used them, as review models are just becoming available now. Even though Apple doesn't have a public bragging presence equivalent to the auto racing circuit, it is pursing advanced research that dramatically enhances the design of its mainstream laptops. Most notable is the company's pioneering adoption of PCIe NVMe SSD storage, which is several times faster than the SATA-III SSDs typically used in PC laptops. The mainstream PC industry is trailing Apple by about a year in this aspect. Blazing fast SSD storage is radically faster than spinning hard drives, making a huge difference in how fast the system boots, apps launch and documents open. By offering higher end storage options on the MacBook Air for years, Apple has financed the work to bring SSD costs down, while driving progress on enhancing performance. Savov's "Pro lie" allegation targeting the new MacBook Pros only made one passing acknowledgment that the new models "have faster storage, which is an indisputable benefit," without even articulating what that meant, before leaping to the idea that real professionals need more than 16GB of RAM. Yet, as his own linked blogger noted--and as John Gruber of the Daring Fireball referenced in a link, that's not really universally true by any means. Further, the "limitation" to 16GB of RAM is mitigated by the new MacBook Pro's ability to page virtual memory to its very fast SSD. And while lots of RAM is great, more physical RAM does means reduced overall battery life. This is a complex engineering decision, not simply a check box that went unheeded by Apple's hubris, as many bloggers are trying to suggest. Further, the issue is also largely related to the processors available from Intel and the type and amount of RAM they can support. And just to repeat the obvious: if Apple's strategy of building premium, light, thin and efficient machines were losing out to cheapskate, bulky, heavy machines with limited battery life, Apple wouldn't be earning most of the profits of the entire PC industry. And its rivals in the PC industry wouldn't be largely building machines that look virtually identical to MacBook Air and Pro models. Faster SSD storage isn't the only pioneering pro technology Apple built into the new MacBook Pros. Thunderbolt 3 brings a super fast data bus and 5k-capable DisplayPort conduit, piggybacked onto the new machine's ultra-versatile USB-C connectors (pictured below next to Apple's Lighting and the full size USB-A connector). Some critics have even pounced on this as something to be upset about! Who could have predicted that Apple would move its MacBook Pros in the same USB-C direction as its retina MacBook, after having earlier introduced its ultralight, premium notebook as the future of mobile Macs? And how horrible that users might need a new cable, rather than multiple different cables as USB, Thunderbolt 2 and DisplayPort formerly involved. What did turn out to be new is that Apple actually included a reasonable number of new USB-C ports on its Pro models: two on the entry level 13 inch model and an incredible four on the 13 and 15 inch MacBook Pro Touch Bar models. That's the most general purpose USB ports Apple has ever built into a notebook. Even its former 17 inch aircraft carrier MacBook Pro maxed out at 3 standard USB ports. A decade ago Apple's 17 inch MacBook Pro also incorporated two FireWire jacks (operating at two different speeds, and each using a different physical connector), an Ethernet port for wired networking, an ExpressCard/34 card slot and a massive DVI connector paired with a VGA dongle. Today's MacBook Pros don't even include an SD Card slot anymore. Instead, they have multiple, uniform USB-C ports that also function as DisplayPort, USB 3.0, power input and a high performance 40Gb/sec data bus, all thanks to the new Thunderbolt 3 specification. Thunderbolt 3 is a really big deal, and the caustic response to it--including contemptuous criticism of the "dongles" required to plug in various devices--is particularly tone-deaf on a technical level considering the reality of the situation. Rather than assembling component blocks like a 1990s PC box using PCI card slots fitted with general purpose expansion cards, Apple released a light, thin mobile notebook with more powerful and adaptable expansion potential: Thunderbolt 3 is effectively a standard PCI Express slot exposed in the physical form of a USB-C connector. The "dongles" plugged into them serve as multipurpose expansion cards in the shape of a cable. Anyone with any technological insight should be applauding that Apple implemented Thunderbolt 3 so elegantly rather than outfitting its new notebooks the way Lenovo does: with only one port supporting power, some supporting higher or lower speed USB connectivity, and so on. Instead we have complaints that the new MacBook Pros don't incorporate "at least one" of the old-style USB-A ports that require you to plug the cable in one specific direction. A simple glance at the new machine next to the legacy MacBook Air shows what a massive difference the omni-directional USB-C affords in terms of thickness and internal volume. If you have lots of USB-A cables to plug into your 2016 MacBook Pro, there's a simple $9 adapter that converts them into a USB-C plug. Should Apple have included USB-A adapters in the box? Even if you only earn minimum wage, you shouldn't really spend more than an hour spinning your wheels on the subject because that would be a really ineffective use of your time and therefore resources. Anyone who thinks Apple should have built an old style USB-A plug into its new 2016 machines should consider how limiting and ridiculous that design decision would be over the lifespan of the machine, all to save $9, one time back in 2016. USB-C is clearly the future; Apple played a significant role in developing the new plug to be truly universal and more powerful than the USB protocol itself by making it powerful enough to also accommodate Thunderbolt 3 and DisplayPort signaling. There remains one conundrum: Apple has an installed base of nearly a billion IOS devices that shipped with USB-A cables and wall adapters. To plug one of these into the new 2016 MacBook models, you'll need a Lightning to USB-C cable, or one of those adapters. Also, iPhones and MacBooks ship with different power adapters (although that's always been the case). At some point, Apple could start shifting iPhones and iPads to use USB-C power adapters and bundle them with Lightning to USB-C cables. However, the majority of Mac and PC computers have USB-A ports, and virtually all general USB power ports, from wall plugs to airplanes, supply USB-A jacks. That effectively slows down how fast Apple can transition away from USB-A on its iOS power adapters. While the new USB-C port saves lots of space on notebooks, there's less benefit for desktop Macs or wall adapters (although the omni-directional design of the plug offers some convenience). That means new MacBook users will have to spring for a new Lightning cable. One last note about Apple's new MacBook Pro power adapter: unlike previous MagSafe versions, which built the cable into the adapter, the new machines ship with a power adapter using a USB-C connector, and the unit charges with a bundled cable using USB-C on both ends. The big new advantage to iOS users is that iPhone and iPads can use the same adapter to charge, via a USB-C to Lightning cable. For mobile users, that means they'll only need to carry one power block to charge all their devices. Thunderbolt 3 layers PCIe and DisplayPort on top of USB, and flexible power management allows for charging input from any port on either side--even from another device, such as an attached display. All together, that's more valuable and practical than even Apple's own MagSafe plug, which only makes sense to build into one side of a laptop. The magnetic safety break of MagSafe--as well as its charging indicator light--are both features that third parties can incorporate in their charging cables. It's actually an improvement that Apple moved from its proprietary MagSafe to a standard USB-C port for power, and it's unfortunate that this change, too, has to be the subject of angst-ridden handwringing by anyone. Should Apple have thrown in a batch of cables, adapters and dongles into every MacBook Pro box? The downside to doing so is not just greater expense, but also involves an environmental issue. Apple will sell tens of millions of these new Macs every quarter; every unused cable and adapter it includes is that much more e-waste, particularly given that users will each have different needs depending on how they use their computers. A decade ago it made sense to include a VGA dongle with DVI-equipped PowerBooks. But today, when users might need Thunderbolt 3, or the former DisplayPort, or HDMI or even a VGA to plug in their monitor, it makes more sense to buy the one cable you need rather than filling the box with various dongles that are likely to mostly remain unused. Then too, a lot of notebook users will seldom or never connect an external display, particularly given the very high quality, brightness and contrast of the built-in screen and its support for rich DPI-P3 Wide Color. After all, if most of its laptop users were also buying external monitors, Apple would likely not have delegated its display business away to its partners including LG. Another Pro feature Apple highlighted on its new laptops is the Touch Bar, which it presented as a productivity tool in direct contrast to Microsoft's years of efforts to overlay a touch screen on the display. Apple isn't confused about how to build a touch display. It sells more tablets than any other vendor. It specifically sold more iPads in its first year of trying than all of Microsoft's decade worth of Windows Tablet PCs, before going on to really sell iPads in large volumes. It has sold more iPads than Macs in most quarters. Apple can clearly demand a premium price for its MacBooks, so its also not just being cheap to avoid following Microsoft down the touchscreen display road. It's also worth noting that Microsoft's fixation on touch-enabled Windows has done nothing apparent to reverse its platform's slide or attract a new wave of software development for Windows 7, 8 or 10. By introducing Touch Bar on its higher end MacBook Pros, Apple is differentiating its product lineup while inducing third parties to create meaningful uses for the new interactive strip of controls. In typical Apple fashion, you can expect Touch Bar to trickle down across Apple's product lineup, eventually. Right now, it does seem to make the most sense on a notebook however, as notebook users have a keyboard where the Touch Bar is directly under the display, rather than in desktop setup where the keyboard might be tucked away in an under-desk drawer, or positioned in such a way where using a Touch Bar would require a bigger refocusing of attention away from the display. Similarly, iPad keyboards are unlikely to ever get a Touch Bar, as their hand held screen follows a very different interaction model compared to conventional notebooks or desktops. That suggests that Touch Bar might stay an exclusive feature of its notebooks. As the component cost of the dynamic keyboard input device falls, it's likely it will work its way into Retina MacBooks and the lower end MacBook Pros. Will desktop users pay a premium for an external keyboard with a Touch Bar? That's harder to say. One thing that is interesting about the Touch Bar is that it incorporates a new T1 chip, supporting Touch ID authentication for logins (both logging in initially and with Fast User Switching between accounts) and Apple Pay, iTunes and the App Store. This feature by itself, independent of the rest of the Touch Bar, is more likely to be introduced across Apple's entire Mac product lineup as a replacement for the basic power button. As the first Macs to feature Touch ID, Touch Bar-equipped MacBook Pros incorporate the sensor at the right edge of the Touch Bar screen (below, next to the Siri button). The Touch ID sensor also acts as a button and can be used to force shutdown the system if needed. It isn't needed to boot up the machine however, as the new laptops now automatically start up when opened. For over three decades, Apple's Macintosh users have stood out as a passionately devoted crowd. While iPods, iPhones and iPads have earned extremely high "user satisfaction" rates, Macs have long attracted a different level of admiration. Apple's finite resources--and intentionally limited focus characterized in its ability to say no--haven't generated as much criticism on the iOS side as on the Mac, where users have long complained of missing links in the company's product lineup: no "headless Mac," no PC box designs with lots of open expansion slots, no more rack mounted server models, and no more heavy duty, thick desktop replacement luggables. Apple's core competency in design and integration favors the devices it has focused its resources upon: three phone form factors (but no simple button flip-phone, and no mega fablet); three iPad form factors (but no 2in1 transformer laptop hybrids, and no tweener tablets); four primary notebook form factors and two iMacs. However, the very iOS-like features that have enhanced the design of MacBooks and iMacs have more limited application among computer form factors that make more sense for Linux or Windows users: servers, expandable PC boxes and some embedded computers. That's why Apple discontinued the Xserve and has left the Mac Pro and Mac mini minimally updated. They are low volume machines that are outliers in terms of the kinds of design and integrated features that Apple excels at. That same reality colors the kinds of MacBooks Apple will sell into the future. We'll be taking a closer look at Apple's latest MacBook Pro design decisions and how the company's engineering decisions might affect users with different types of needs. Give us your feedback in comments or on Twitter outlining the kinds of questions you'd like answered as we put Apple's latest high end notebook designs to the test this week. What did turn out to be new is that Apple actually included a reasonable number of new USB-C ports on its Pro models: two on the 13 inch model and an incredible four on the 15 inch MacBook Pro. Note: There are also 4 USB-C ports on the 13" MBPwTB. Well said. I think that covers most of the points I've been trying to make about the new MBPs. What most people don't understand is that a "pro" computer isn't defined by the hardware it has. Its defined based on your needs as a user. Failing to satisfy those needs doesn't mean that it isn't "pro" for other uses. I have absolutely no problems with most of Apple's decisions (that's why I have ordered a nearly complete - only the 1 TB SSD, everything else top of the line - 15" MBP within minutes of store availability after the keynote. And I have no second thoughts about it at all. I can live without all removed ports (the one port I truly need - Ethernet - has been absent from my Retina MBP since 2012; and no, I did not expect it to make a comeback). I love the new keyboard (I played with the 13" base model in the Apple store, and it is perfect), love the bigger trackpad and the new screen is absolutely adorable. Performance is absolutely fine unless you want to game, in which case a Mac is a stupid idea in the first place. I have rarely seen the glowing Apple logo - always been on the other side, and while I loved the first generation MagSafe, the second generation was a dud and is not missed at all. And the things I truly miss (sleep light and external battery indicators) are unfortunately long gone. I absolutely look forward to using the new Touch Bar, because the concept is making a lot of sense. (I do have a XPS 15 for Hyper-V stuff and I turned its touch screen off in the firmware, because it is good for absolutely nothing. It is a checkmark item without any value whatsoever.) Still, and that criticism simply is true: A lot of demanding users would have preferred 8 hrs of battery life with 32 GB DDR4 RAM over 10 hours with 16 GB LPDDR3, especially since most "pro" (quotes intentional) tasks are performed while being plugged in anyhow. At Apple's margins offering both would not have been such a stretch, especially since they likely sell more models in the $3k - $5k bracket than all competitors combined. They have to live with this criticism. Can someone confirm that Thunderbolt 3 can daisy chain... I watched the keynote and looked through there website and all they advertise is 4 devices connected to it. It's not like apple to not show a feature off, which makes me worry. Why doesn't the new thunderbolt 3 monitor have only USB-C out not thunderbolt 3. Those diagrams with the displays should be laptop>display>storage device etc... I have many Thunderbolt 2 devices all daisy chained 4 ports are not even close to enough I hope these adapters don't break this feature. I would love it if someone could link something official showing that this feature is active on the new MacBook Pro's 2016. The only problem I have with the MBP is the price and yet I find this article to be condescending BS. Sorry, it's MY money and I see no value in this machine for the cost. It's no more powerful than last years model so I just went ahead and bought a 2015 Macbook Pro. Transferring data at speeds of up to 40 Gbps, which is two times faster than Thunderbolt 2 and eight times faster than USB 3, Thunderbolt 3 delivers the fastest connection to any dock, display, or device. You can also daisy-chain up to six Thunderbolt devices through a single port without needing a hub or a switch. I am all in. Fully tricked out MBP on order. Four TB3 ports makes SO much sense for me. My home office, I am normally connected with two ethernet cables and wifi running. Typically running Windows on VMware connected to my company network wire (via a VPN router and VMware bridging) and my personal network. Now I will be able to run all that, including power to the MBP over a single cable! Yay! If I am in travel mode (hotel), I can use the ports for two IOS devices and still have room for my backup drive and power. Thank you for the tip about USB-C charging. I would have figured that out eventually, but two less devices to carry, let alone trying find a place to plug them all in. Today I am running an early 2013 MBP with a 750. It tops out at roughly 500 MB/s. I can't imagine what 6x speed will feel like. And this says nothing about 2.5 or 4 gig ethernet that is around the corner. I expect that to be an easy upgrade.... just another adapter. Far and away the most I have ever spent on a laptop (over 4 grand). But I am more excited to my get hands on this one than anything else I have ever bought. Since 10GigE is already double the max speed of TB2, I don't think that TB3 certified adapter would offer any additional performance. So...what exactly is the "future of Macs" spouted in the headline? I encountered my first MBP "Escape" in Space Gray at an AIGA meeting today. The incredibly compact size has to be seen and felt to be appreciated. The Space Gray color is the first time I have been excited about a new aesthetic feature since I got my first Retina MBP back in 2013. I'm not a 13" guy, but if I were, I'd jump all over the Touch Bar 13" model. I assume the reviews of the Touch Bar 13" & 15" models are coming out any day now. I'm still using an Early 2011 17" MacBook Pro, 2.3 GHz i7 that came with 8 GB RAM and a 750 GB HD, and I have a second monitor. The MBP17 now has 16 GB RAM and a 1TB SSD, along with the original 750 GB spinner as additional internal storage. I use several web development apps concurrently; Adobe Photoshop cc 2017, Dreamweaver or On1 Photo, sometimes burdening it with Light-Up renders in SketchUp Pro 2017 with stills bound for Photoshop. I find things frequently begin to heat up with such use (designed for 8 GB) but that CleanMyMac 3 has a nifty memory "Free up" command that I can use to minimize page-outs if real memory drifts into the < 5% available zone. Working well for now, though I really would like to get one of the new ones! This isn't courage it is arrogance. Too expensive and lack of conventional ports, a compete fail for pro-users, much like the 2013 Mac Pro. In the past I have defended Apple choices but they really have forgotten pro users. So was the 2012 macbook pro with retina. And the original macbook air. And the original iMac, and many other things that Apple introduced over the decades. 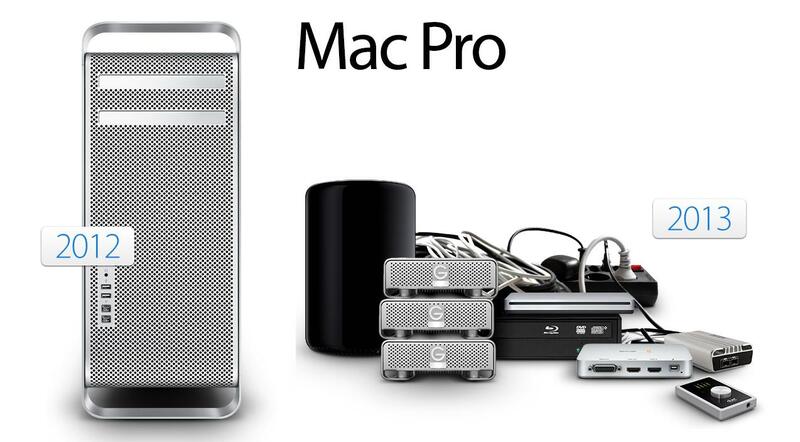 Too expensive and lack of conventional ports, a compete fail for pro-users, much like the 2013 Mac Pro. In the past I have defended Apple choices but they really have forgotten pro users. You do not represent "pro" users. I doubt you even know what that means. These new MBP's are popular as ever, and will suffice for the majority of users. Go troll elsewhere. I agree with an earlier poster - 16GB of unexpandable RAM is rather shortsighted. It offers no improvement over the ancient, previous model, and we all end up using more in the long run than we thought we'd ever need (I thought I'd never need more than 4 - boy was I wrong). The ages of port types and drives is a constant preoccupation in the article, yet there is no mention of this stagnant limitation. It is also rather presumptuous of the author to state that there aren't enough people who need it without references to any study or survey. I did enjoy a good laugh at the accidentally satirical, false choice, given between a 16 lb luggable, and a MacBook limited to 16GB of RAM. 1) There is no LP with DDR4, which is how the Intel chips will get past the 16GiB limit. 2) Every model update should double the RAM? That's an illogical assumption. 3) This won't be an issue until it's made an issue. Do you know why you need more than 4GiB today… because machines were made with more RAM so operating systems and applications were designed to take advantage of it. 4) You're not likely to get more than 16GiB RAM until 2018 when LPDDR4 arrives with Cannonlake. Apple could have an entire Kaby Lake update for the new MBP that still maintains a max of 16GiB LPDDR3 RAM. My use case is simple, I want mobility with decent battery lift and a good screen. I use cloud storage and have no need for external connectivity, I even charge my phone from a wall socket overnight. On the off chance I may need to plug in and charge, I got the $9 cable. I also bought the dongle with a USB A connector and HDMI port (if I ever have to present something), I expect this to remain mostly unused as I can't remember the last time I plugged in a USB device. I did invest in the Powerbeats 3 headphones for the W1 chip compatibility and easy pairing with my phone and the laptop, it also has amazing battery life. I see this as a great improvement reducing clutter and complexity while giving me a great platform to use over the next two years, perhaps longer.